A 128-page hardcover book by Ann Swan. Water-soluble and oil-based coloured pencils are becoming increasingly popular for botanical painting as they are easier to use than traditional watercolour and are more forgiving, yet they produce the same stunning effects. 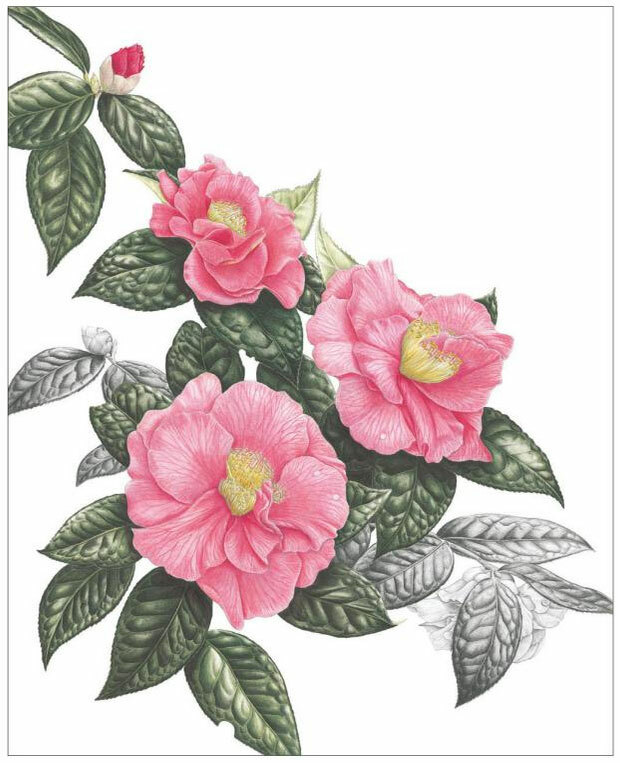 They are especially suitable for the accuracy needed to paint in the botanical style of illustration. 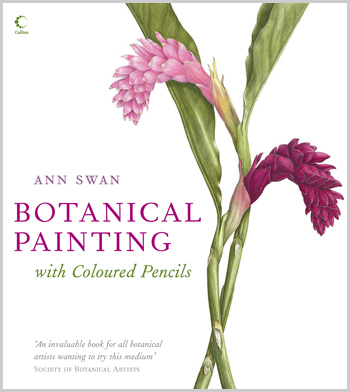 In this book Ann Swan gives helpful advice on all aspects of working with coloured pencils, including the techniques you will have to master – underpainting, layering and burnishing. She also demontrates how to mix and build up colour, and how to add those finishing touches that will complete your painting successfully. Several full step-by-step demonstrations are included to show how these techniques are put into practice. 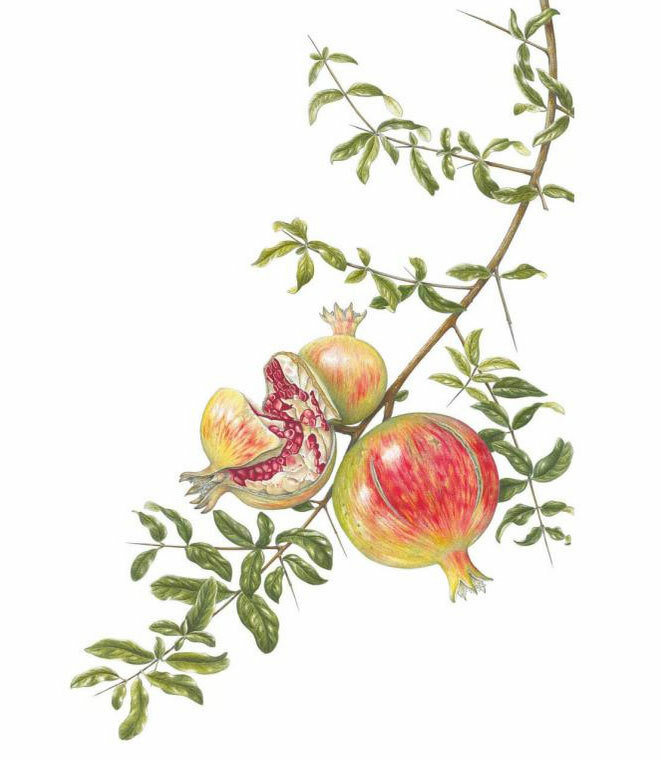 The book concludes with a gallery of coloured pencil works by the author, students of botanical painting and other professional botanical painters, providing a wonderful source of reference and inspiration. Ann is passionate about coloured pencils, believing that they are easy to master, forgiving and accessible, so that even a complete beginner can soon produce work of quality. She has been teaching botanical drawing with coloured pencils for 15 years, both in the UK and abroad, and runs workshops throughout the year at her studio in Wiltshire. Ann Swan works primarily in graphite and coloured pencil and is well known for her exquisitely fine detail, vibrant colours and strong contemporary style. She champions the underdog in the plant world, drawing our attention to Brussels sprouts or beetroots feeling they are just as beautiful as the iris or tulip. She is passionate about coloured pencils believing they are easy to master, forgiving and accessible so that even a complete beginner can quite quickly produce work of quality. She began to exhibit in 1990 and now shows her work worldwide. Exhibitions include The Royal Botanic Gardens at Kew in 1994 and the Hunt Institute’s 8th International Exhibition in Pittsburgh USA. 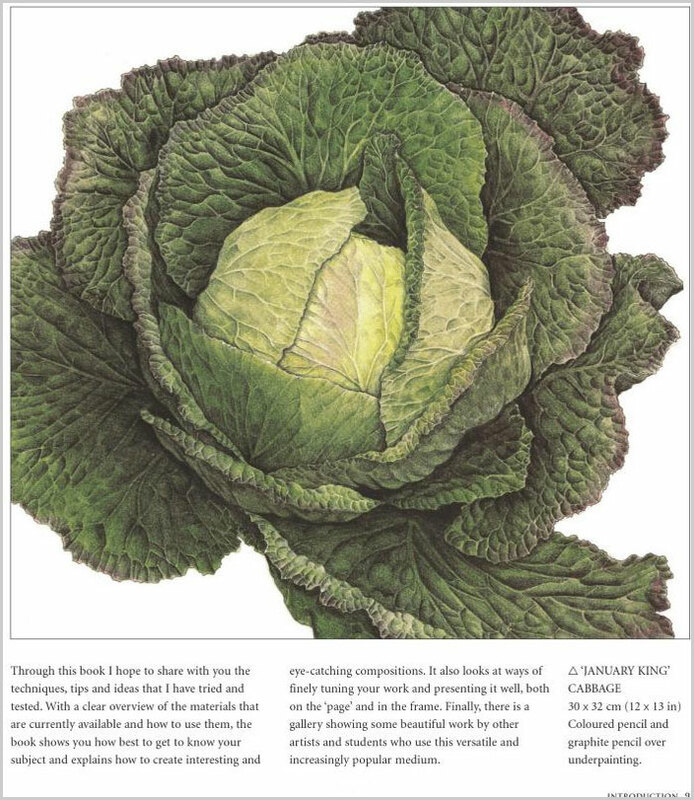 Ann is a regular exhibitor with the Society of Botanical Artists and until recently exhibited annually at the Chelsea and Hampton Court Flower Shows. She is also a member of the RHS Picture Committee. Her work is represented in the prestigious Shirley Sherwood Collection and features in many private collections around the world. She has earned many medals and awards. Ann teaches workshops in her studio and hosts painting holidays. 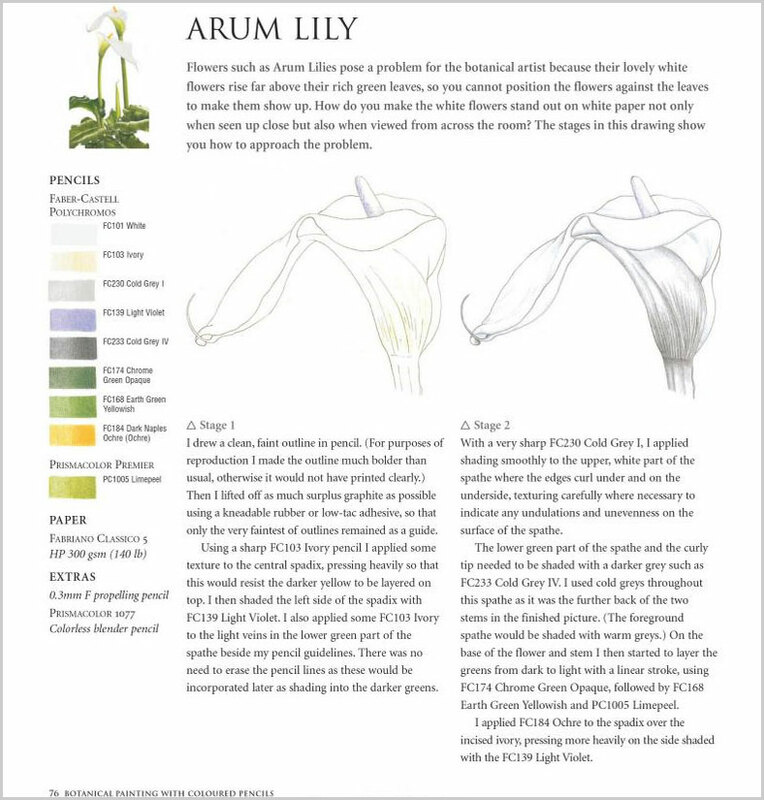 Click on the underlined link to go to the current offers on the book Botanical Painting with Coloured Pencils on the Jackson’s Art Supplies website.